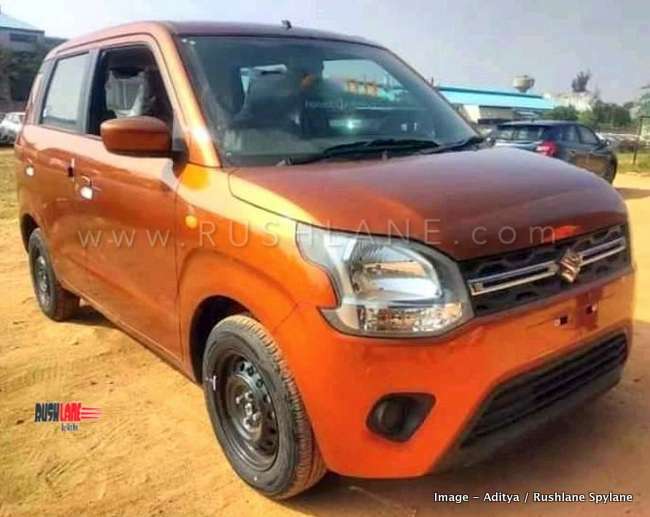 The new Maruti Suzuki WagonR will be officially launched in India on 23rd January 2018 with deliveries commencing the same day. Hat tip to automotive enthusiast Atidya for sharing exclusive spy shots on Rushlane Spylane. 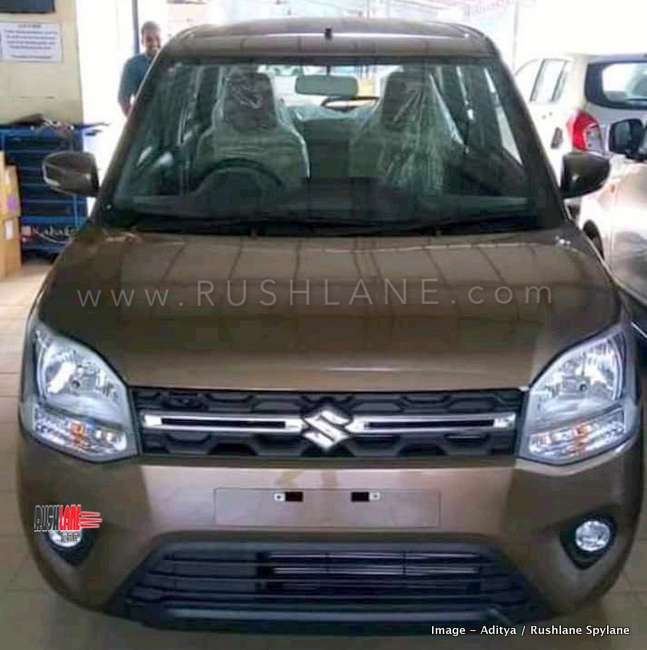 Maruti Suzuki India Limited gears up for launch of the new WagonR, at an estimated price of Rs. 4.5 lakhs. Even as the automaker is releasing teasers and opened bookings, the hatchback has been spied at a dealer’s stockyard drawing attention to some more details. 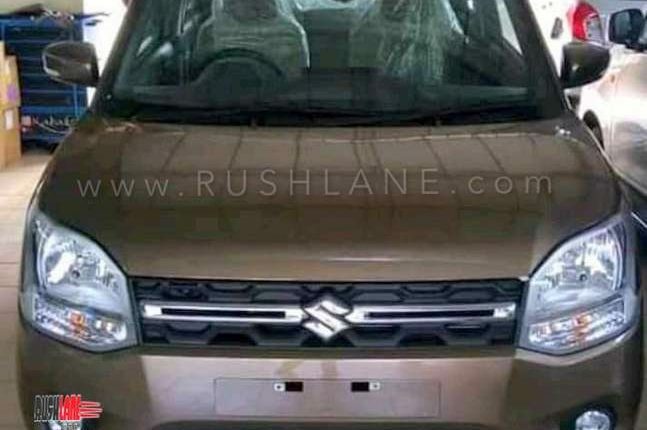 Spy photos were shared by automotive enthusiast Aditya on Facebook group Rushlane Spylane. Maruti WagonR continues to note consistent demand in India ever since it was launched two decades ago. It is has managed to breach the 20 lakh sales mark and remains a popular model on the company lineup in terms of sales. Compared to the old WagonR, the new WagonR is much better, thanks to increased dimensions, spruced up exteriors and well appointed interiors along with a host of safety features. 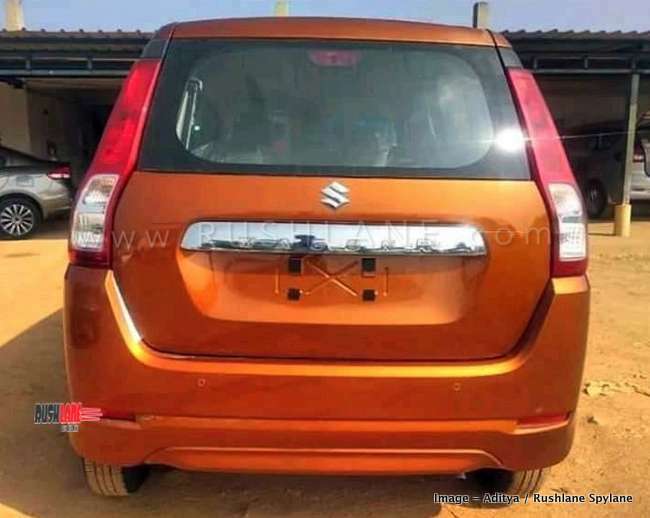 Maruti Suzuki WagonR continues to sport its tall boy stance and will be presented in three variants of LXi, VXi and ZXi. 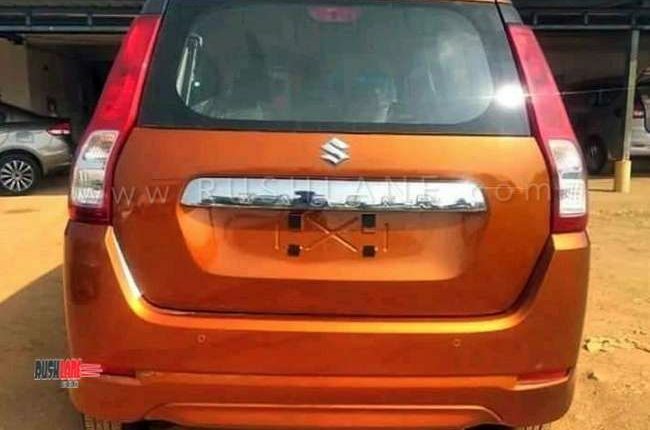 It is based on a Heartect platform on which the Baleno, Swift, Ignis and DZire are also positioned. It now standing 35mm longer and 125mm wider than its earlier counterpart, thus relating to adding cabin room. 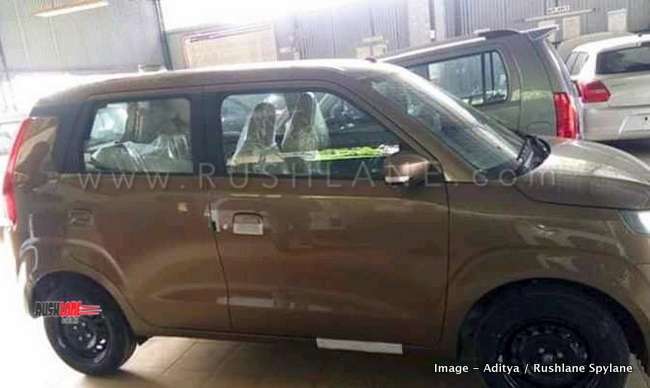 The new WagonR, will be seen in a total of 6 colour options. These are White, Silver, Grey, Orange, Blue and Brown. Of these, Orange and Brown have now been spotted. Exteriors will be seen with new bumpers, a floating roof, dual channel headlamps and black inserts on C Pillars. 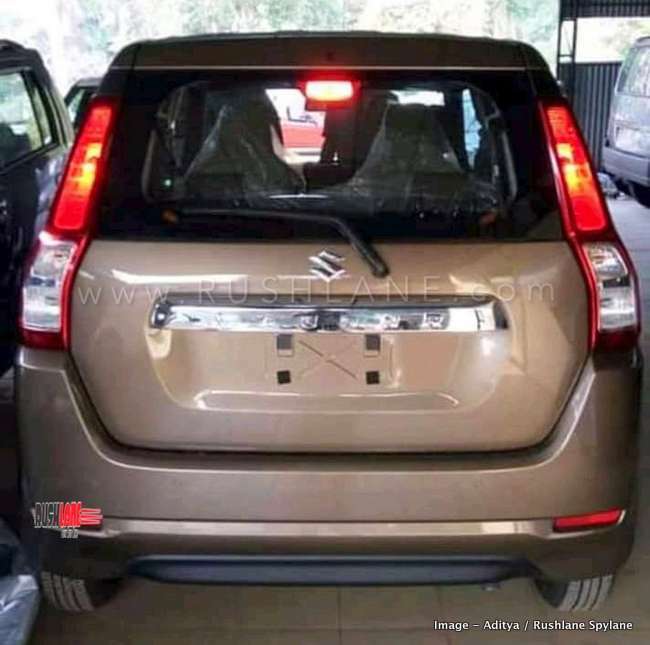 At the rear, new tail lamp design, rear windscreen washer and wiper and rear parking sensors are noted. 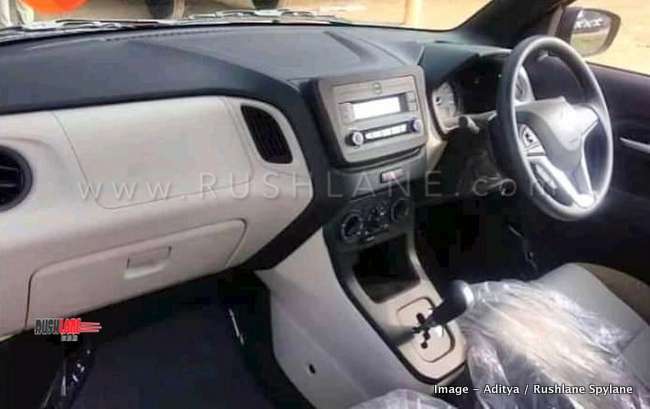 Interiors also get revamped with a dual tone color scheme, new dashboard design with floating infotainment system, new steering wheel with steering mounted buttons for infotainment and Bluetooth connected smartphone. Safety features will include all 4 power windows, dual airbags, ABS, EBD, seat belt reminder, speed alert system and rear parking sensor in readiness of new safety regulations coming into effect. 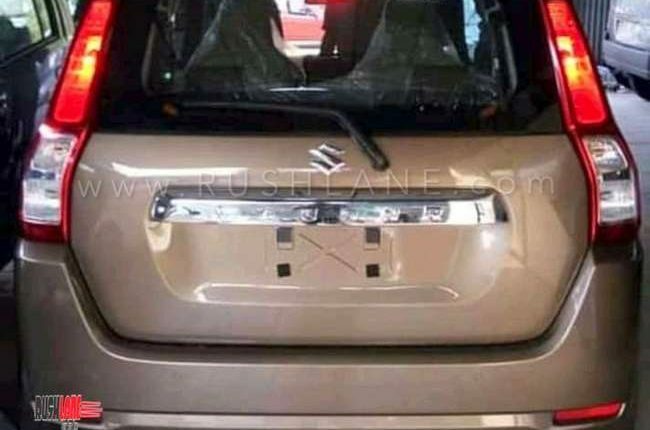 Maruti Suzuki WagonR will get its power via the same 1.0 liter, 3 cylinder petrol engine that powered its earlier model. This engine offers 68 bhp power and 90 Nm torque. There will also be a new 1.2 liter, 4 cylinder engine offering 89 bhp power and 113 Nm torque. Both engines get mated to a 5 speed manual and AMT. 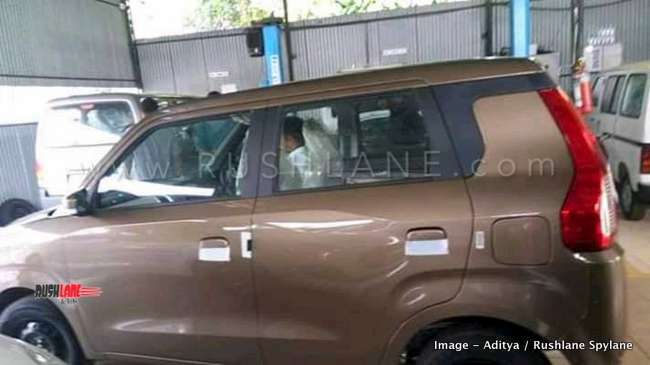 However, there will be no CNG variant which could be added later while Maruti Suzuki is also said to be testing an electric version of WagonR for India which looks like WagonR Hybrid FZ on sale in Japan. 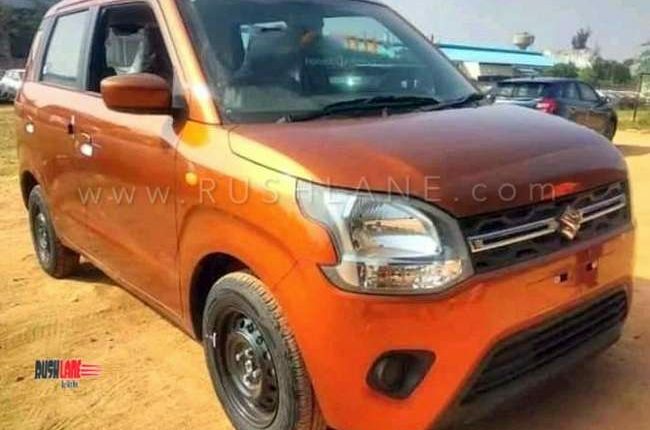 New WagonR, once launched in India will have to contend with Hyundai Santro, Datsun GO, Tata Tiago and Renault Kwid but will gain an edge over its competitors with larger size, better fuel efficiency and sales / service network.